Daytona Beach is the perfect beachside getaway for families, as it provides endless activities to keep everyone entertained. 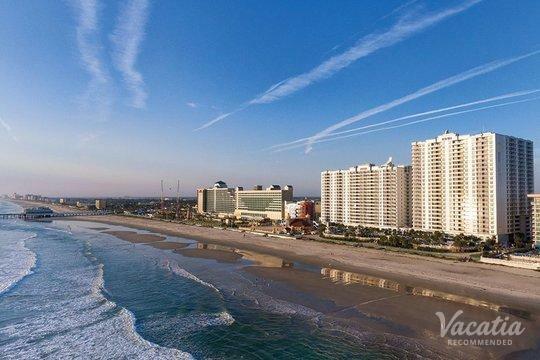 Of course, its stunning beaches and perfect weather also make it a great place to squeeze in some relaxation, which is why both parents and children will have a great time during a Daytona Beach vacation. 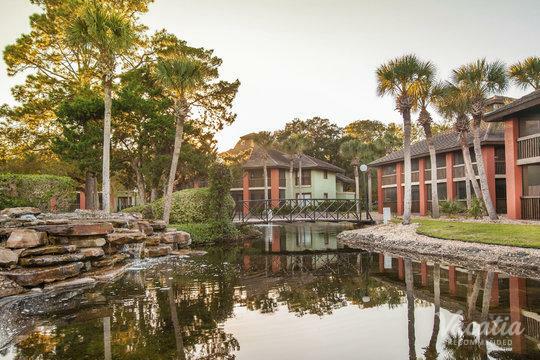 If you are looking for kid friendly resorts in Daytona Beach FL, you should definitely work with Vacatia to find your perfect hotel accommodations. 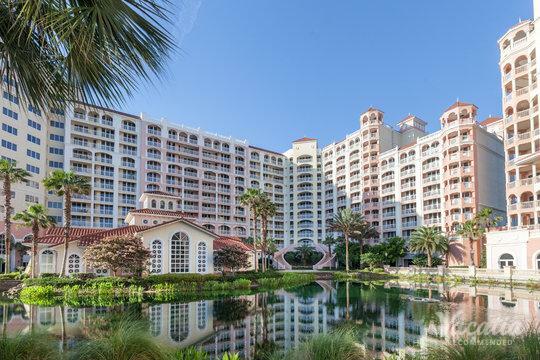 Vacatia takes the guesswork out of finding great, kid-friendly hotels, and it can help you sift through the selection of Daytona Beach family resorts until you find a great option for you and your family. 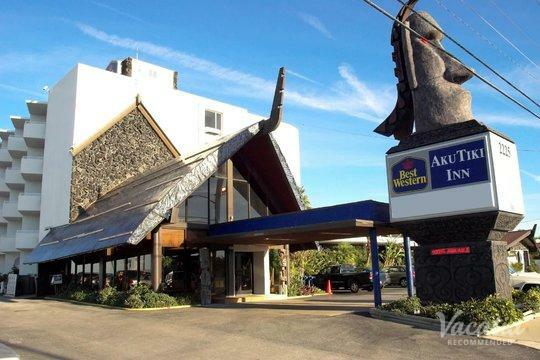 For the best places to stay in Daytone Beach with kids, look no further than Vacatia, which will provide you with an ideal selection of quality resorts that both you and your children will love. 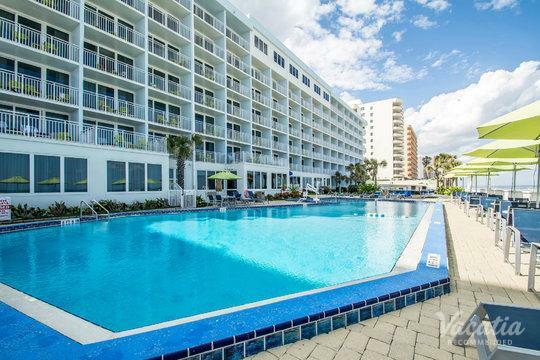 Parents know that traveling with children requires a bit of extra thought and planning, but Vacatia aims to minimize the time you spend planning your vacation so that you can actually enjoy your time in beautiful Daytona Beach. 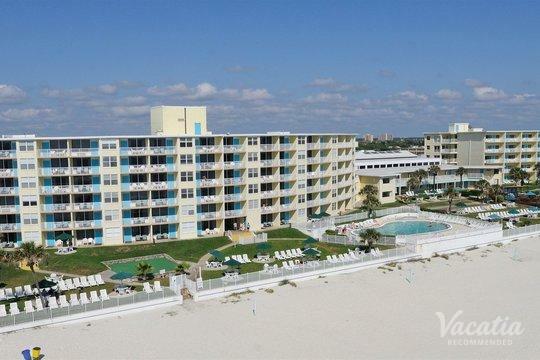 Vacatia provides an impressive selection of Daytona Beach resorts for kids so that parents can easily find the perfect vacation rental for their family's needs. Not only does Vacatia make it easy to narrow down the vast selection of available hotels, but it also focuses strictly on finding resort residences for its customers. Vacatia's resort residences provide the extra space of a home as well as the amenities and services of a hotel, which means that you no longer have to cram your family into small hotel rooms on your vacations. 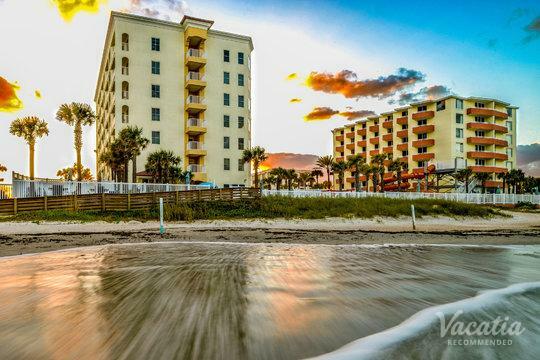 Vacatia's selection of kid friendly condos in Daytona Beach provide ample living space that will minimize the stress and hassle of your upcoming vacation, which means that you can instead spend your time and energy enjoying this stunning coastal resort town. Daytona Beach is a haven for every type of beach lover. Whether you enjoy participating in water sports and beach activities or just like lounging on the warm sand, Daytona Beach is the perfect destination for your upcoming beachside getaway. While Daytona Beach is known for its world-famous International Speedway, life is Daytona Beach doesn't always have to be fast. Rather, you can head to the idyllic beach, which stretches for 23 stunning miles along the Atlantic, and relax. There is something for everybody at Daytona Beach, where you can find plenty of excitement and activities as well as plenty of peace and solitude. 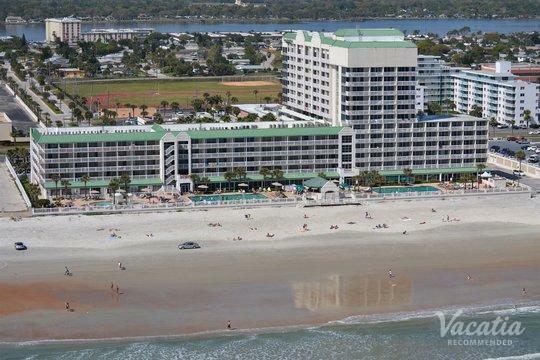 Families traveling to Daytona Beach have endless options of activities, dining, and hotels. 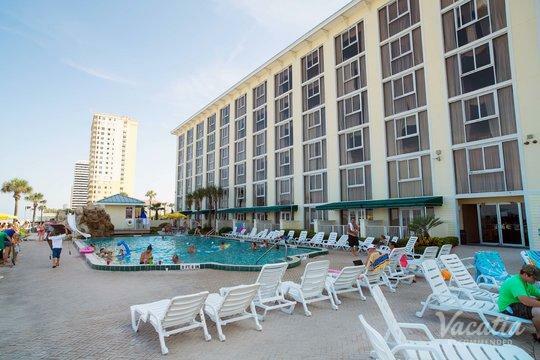 To find the perfect family-friendly hotel for your upcoming Daytona Beach vacation, be sure to work with Vacatia so that you can spend less time trip planning and more time enjoying your vacation. 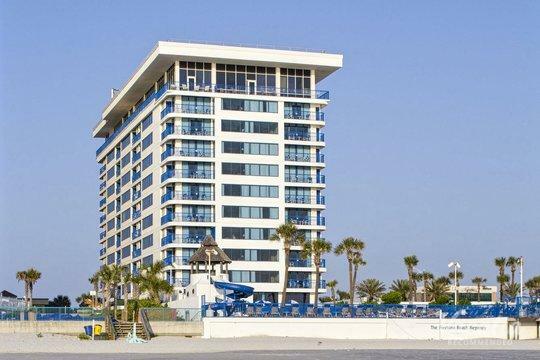 When you travel to a lively, beautiful beachside town like Daytona Beach, you don't want your vacation to be marred by a bad hotel experience, so rely on Vacatia to find the best vacation rental for your family.